The FWPD Pipe & Drum Brigade will be playing at the Special Olympics Polar Plunge. Come out and support this worthy event! For more information or to donate click here. 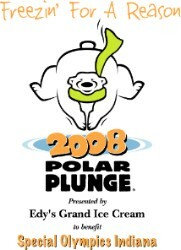 Fight off the winter blues this season with the Polar Plunge presented by Edy's Grand Ice Cream! Join us for a daring winter dip into the cold bodies of water across Indiana. To join the fun, just raise a "bear" minimum of $75 in pledges. You'll be supporting Special Olympics sports programs for thousands of Hoosiers with intellectual disabilities. Sign up Today! You'll be Freezin' for a Reason!